I’m continuing to write about different RPG Kickstarter themes such as all of the campaigns originating in Georgia or all of the games use the Savage Worlds engine. For this column, I’m examining the RPG experience away from the table – conventions and camps. To continue the expansion of gaming, we need more stores, more online games, and more conventions so there’s a variety of experiences for every type of gamer and, consequently, we’ll attract more gamers. In turn, to support those games, organizations, and gamers we’ll need more product. To support that goal, these campaigns offer chances to play and create more RPG content! “More Boardgaming Events, More Boardgames, More RPGs, More Games in the Library, More People and More Fun! April 20 to 22, 2018. Come Join the Fun at LexiCon 2018 April 20th noon to 22nd at 6:00pm, Lexington, KY.
We simply take over the Clarion Hotel Convention Center for the weekend and play tons of games and have fun! Over 1,100 turnstile attendees last year. Over 160 Scheduled Events including tournaments, board games, RPGs, LARPs, Cosplay and so much more. National Qualifying Tournament for Settlers of Catan. The Unsurpassed Nighttime Adult Parties, sponsored by West 6th Brewing and The Barrel House. Prizes, prizes, and more prizes. Lexicon gives away a ton of prizes throughout the weekend, including prizes for just showing up in any kind of costume. This is a growing convention. It’s well situated geographically (the two biggest North American gaming conventions are in Indianapolis and Columbus, both just shy of 200 miles from Lexington, Kentucky). They’ve positioned LexiCon in April while Origins Game Fair is in June and Gen Con is in August. Being ahead of those shows on the calendar and close by, LexiCon is like the local opening act to the big shows. With their track record of shows funded via Kickstarter (here), this seems like a safe bet to open up gaming season. “We’re planning a short winter project to showcase the process of converting a D&D3.0 adventure to 5E & PFRPG while updating the design. ARE YOU READY TO LEARN ADVENTURE DESIGN? Maybe you are a GM who wants to create better encounters, deadlier dungeons or more creative adventures. 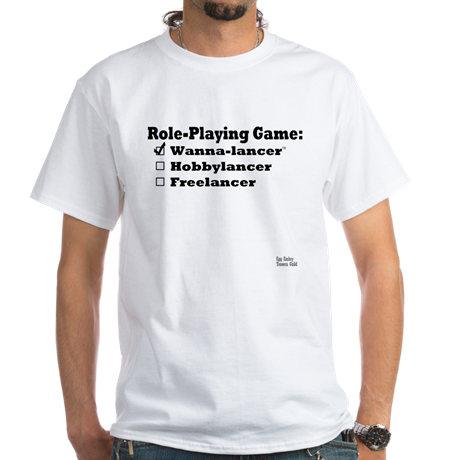 Or perhaps you are trying to become a Freelance RPG Designer and want to learn how to construct award-winning games. 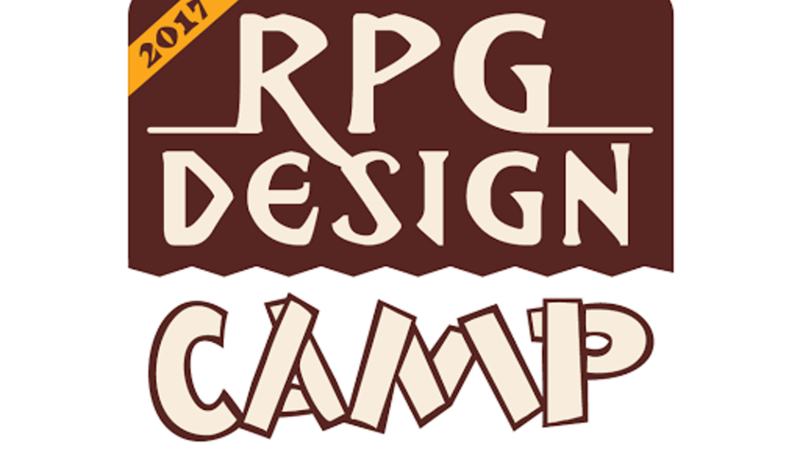 RPG DESIGN CAMP is here for you! This time we are taking an older adventure, the Silver Box, and letting you adapt, change and add to it to make it awesome! In the Silver Box a thrilling encounter with highwaymen uncovers a missing artifact that hurls the PCs into an amazing adventure. The chase leads them on a woodland pursuit into a cave complex where the mystery only increases with the discovery of a pile of dead highwaymen. Who killed the thieves? And where is the Silver Box? From there the PCs follow clues to a nearby city and a series of thrilling urban encounters. Finally, in the conclusion, the heroes face off against the real thieves of the Silver Box in a dramatic shipboard battle in the city harbor. Or does it? Your decisions can and probably will alter the adventure toward new directions. Perhaps the conclusion will be atop a floating tower rather than a ship? The options are limitless and the deciding factor is you! Don’t just run the adventure be part of the design process and choose the adventure! Design Camp is a collaborative experience where game designers and interested individuals share the process of RPG content creation– sometimes that means writing a supplement, or an adventure, or setting material, or, like this project, converting a manuscript from one game system to another. The adventure we’re planning to convert is The Silver Box, formerly placed in the Iron Kingdoms setting, and covering a number of urban and wilderness locations with a variety of NPCs. We’ll discuss it more in updates. How does Design Camp work? We interact with backers through a Basecamp site on the internet (basecamp.com), using that site’s infrastructure to chat, email, host files and communicate. We also post here on Kickstarter to provide redundant communication for the project. Normally I post gaming campaigns and, more or less, let them speak for themselves. Sure, I put up some thoughts, but they’re just a quick review, but not so for RPG Design Camp 2. I missed the first one and I regret that. So, I want this one to fund, fund, fund so I can go! My shtick is wanna-lancing – I want to be a RPG freelancer – and this is not unlike getting to hear Wolfgang Baur and Dan Dillon‘s thoughts on 5e monster creation from which I learned a great deal. Ben McFarland – Due to its depth, I’m not going to try and summarize his resume. Instead, you can read it here. A sample of Ben’s writing credits via DriveThruRPG can be seen here. “I’m a proud Pathfinder RPG fan, a game designer, a writer, a traveler, and the proud creator of Rhune: Dawn of Twilight, as well as the co-creator of Bloodlines & Black Magic. I also own and operate Storm Bunny Studios. In addition to my own products, I’ve written for: Bazaar Magazine, The Shadowlands Campaign Setting, Kobold Press, Kobold Quarterly, Open Gaming Monthly, Open Design, Total Party Kill Games, and Wayfinder. A sample of Jaye’s writing credits via DriveThruRPG can be seen here. A sample of Brian’s writing credits via DriveThruRPG can be seen here. I’m ready for this camp and I hope to see you there! “AndoCon 2018 is an Atlanta-based gaming convention focused on gaming and the geeky lifestyle. AndoCon is a 3-day gaming convention in Atlanta, Georgia. It will be held Friday thru Sunday, March 9th-11th, 2018 at the Atlanta Marriott Peachtree Corners. This is our fifth convention and we’re dedicated to making it bigger and better than the first four. And you can be part of that! AndoCon focuses on gaming and the geeky life. We specialize in tabletop gaming of all sorts — board games, card games, roleplaying games – combining these with a variety of other events and a friendly, welcoming atmosphere to create an enjoyable experience for everyone. If you’d like to attend, simply buy a badge and come game and hang out with us in March. Badge prices will go up after the Kickstarter. Plus, there are things you can get now through the Kickstarter that won’t be available later. Finally, by pledging to the Kickstarter, you can help build the AndoCon community now, which will make for a better convention for everyone later! Thanks for checking out our Kickstarter. We hope to see you in March. What Can I Do at AndoCon? There are many ways to get your Ando on at AndoCon. Here’s just some of what’s going on. As we nail down more specifics, we’ll update this page and provide continued event announcements at AndoCon.org. Attend a live recording of the NerdBurger Podcast, where you can even get on the mic and share your geekiness with everyone. For three years, AndoCon got a great rate at its former venue, in part because we were new to the local gaming scene. We’ve grown, and that’s a good thing. But it also means we needed to find a new venue, which we have. And now that AndoCon is bigger than ever, the cost to rent space at a great venue is higher. Additionally, being bigger and better incurs additional behind-the-scenes, organizational costs. And it costs money to bring back to AndoCon some of the great guests and events we’ve all enjoyed in the past. Getting funds locked into place earlier is absolutely essential to being able to set up and run everything as smoothly as possible, which in turn will give you a better experience. So who are these special guests we talk about? Here’s who we have on the slate right now. More will be added as we square things away with folks. I shared my thoughts on the campaign here and I did an interview with Ando Poore of AndoCon here. The short version is, I want to go! To back this campaign click here. For more information about AndoCon, click here. Ends on Wed, November 15 2017 8:00 PM EST. “We want to bring a ton of great Comic Book Creators to Savannah Feb 24 2018 and put on a fun show for everyone! We’ve been working on this event for quite a while now and YOU can help us bring Savannah Comic Con on Feb 24, 2018 [and Feb 25th too] from the planning and dreaming phase into reality. We’ve set a very low goal to cover the bare bones of putting a show together while still keeping the show very affordable for fans. Update: All Vendor booths and Artist Alley rewards are now good for both days. While they last. After Kickstarter, more spaces will be made available at their regular price. Reason I’m interested in the show. Award-winning artist [2015 Judges’ Choice Award – JordanCon Art Show and 2017 Best Space Scene – DragonCon Art Show] and Tessera Guild co-founder, Amanda Makepeace, has a table for the show. Marvel artist and, more importantly, my buddy, Wilfredo Torres, is going to be there. Downtown Savannah, GA is one of my favorite cities. It was established during the colonial period, yet it feels like SCAD (Savannah College of Art and Design) owns an absurd amount of downtown and that’s a win since so much of gaming (and comics) is driven by art and they have an eye for it. As a vacation destination, I enjoy historic Savannah and putting a comic book convention and friends there screams good times!